! ! ! DEPOST TAKEN NOW RESERVED ! ! ! 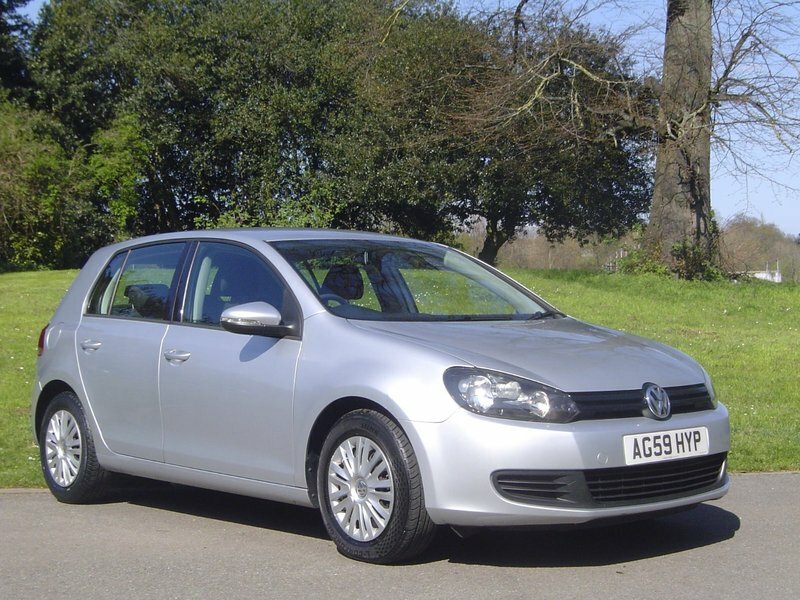 WE ARE VERY PLEASED TO OFFER FOR SALE THIS SUPERB LOW MILEAGE VW GOLF 1.4 S 5-DOOR 5-SPEED MANUAL, PRESENTED IN BRIGHT SILVER METALLIC WITH COMPLEMENTING GREY INTERIOR ! ! ! 2-OWNERS ! ! ! ONLY 57000 MILES ! ! ! FULL SERVICE HISTORY + A FOLDER OF SERVICE RECEIPTS AND OLD MOT,S ! ! ! CAMBELT REPLACED AT 36178 MILES 10/03/2015 ! ! ! LAST SERVICED AT 55242 MILES 12/10/2018 ! ! ! MOT,D TILL 20/10/2019 ! ! ! 2 x KEYS ! ! ! ALL DOCUMENTATION PRESENT ! ! ! LOOKS AND DRIVES SUPERB ! ! ! VERY ECONOMICAL 44 + MPG AND ONLY £155 A YEAR ROAD TAX ! ! ! POWER STEERING ! ! ! RADIO CD ! ! ! REMOTE CENTRAL LOCKING ! ! ! ELECTRIC WINDOWS ! ! ! AIR-CONDITIONING ! ! ! ELECTRIC DOOR MIRRIORS ! ! ! ESP ! ! ! ISIFIX ! ! ! TINTED GLASS ! ! ! REAR LOAD COVER ! ! ! PART EXCHANGE WELCOME,CREDIT CARDS ACCEPTED,EXCELLENT FINANCE OPTIONS AVAILABLE ! ! ! PLEASE EXPLORE OUR COMPLETE RANGE AND FIND AN AMAZING DEAL ! ! ! BUY WITH COMPLETE CONFIDENCE ! ! ! FREE AA HISTORY CHECK AND 12 MONTHS FREE BREAKDOWN COVER OR UPGRADE ON ALL OUR VEHICLES WHEN YOU BUY THROUGH AA CARS. FOR MORE INFORMATION OR TO BOOK A TEST DRIVE, PLEASE GIVE US A CALL.